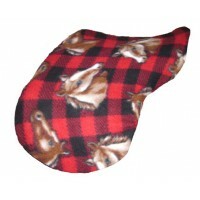 FASHIONHORSE English Saddle Covers are a stylish way to protect your saddle from dust and rodents. 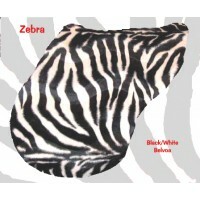 Our English saddle covers measure 26" along the top and 24" down each side. 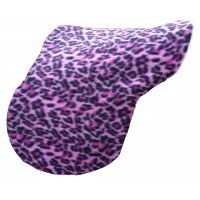 They are made to fit on standard close contact and general purpose saddles up to 17.5". 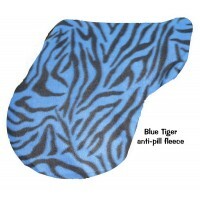 Our fleece covers will stretch to fit on 18" close contact and dressage saddles. Our quality covers are made out of "Belvoa", Poly/Cotton, lycra or soft Fleece and have strong elastic cord sewn in all the way around. Special orders are available on some prints. 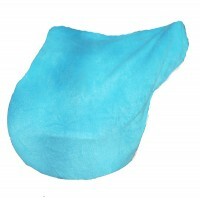 Care Instructions: Mashine wash. Dry in dryer low heat.